You’ve gotta love Autumn. Not too hot, not too cold – it’s the ideal time of year for nature lovers to get outdoors and put their camping gear to good use one last time before the dark, big chill of winter sets in. Check out these five great camping locations where you can kick back, relax and soak up the last bit of summer sun this Easter. Camping’s got a lot going for it. First up, it’s affordable – allowing cash-strapped South Africans (and that’s most of us!) to experience the many natural wonders our beautiful land has to offer without breaking the bank. It also makes for seriously fun family adventures, the kind fond memories and humorous stories are made of for years to come. Just as importantly, it’s an outdoor activity that taps us straight into the most effective work de-stressor ever invented – Mother Nature herself. That said, here are five great campsites where you can dodge the maddening crowds, take in the great outdoors and have some fun with your family these Easter holidays. Mountain Sanctuary Park’s crashed UFO rock. Gautengers wanting a decent break close to home need look no further than the legendary Mountain Sanctuary Park. 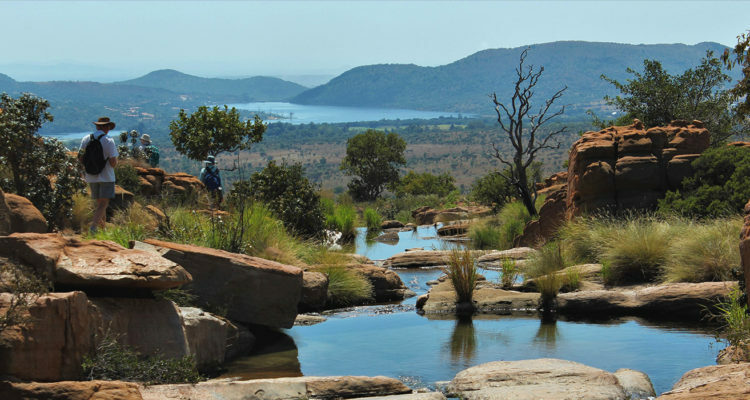 Tucked away amid the peace and quiet of the ancient Magaliesberg mountains, and just an hour and 15 minutes drive from Johannesburg, this 1000-hectare private nature reserve has been open to the public for 37 years. Once here you’ll find out why it’s been so popular with nature lovers for so long. Magnificent rock formations, millions of years old, have created numerous natural rock pools flanked by indigenous vegetation, where you can swim and the water’s still so pristine you can drink it. 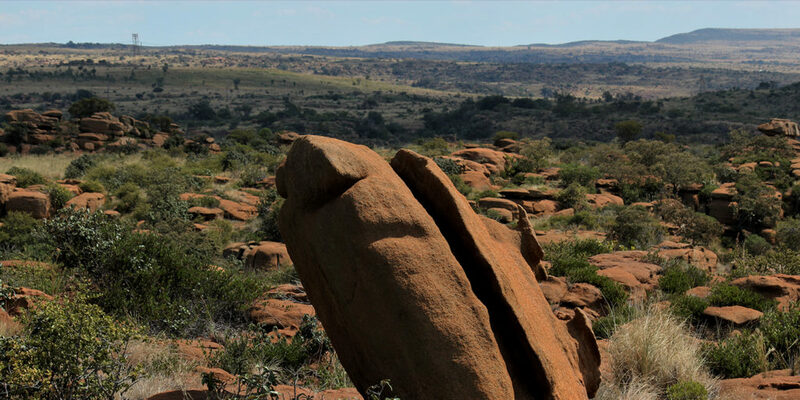 Then there’s the unblemished African bushveld littered with weird-shaped boulders, where you can walk under big skies for hours – with the pools becoming welcoming stop-off points during hikes. Relaxing with a good book under a shady tree is one way to absorb the peace and tranquillity of this natural haven. And, if you’re really quiet, you might get lucky and spot some of the endemic fauna such as klipspringers, monkeys, jackals and warthogs, not to mention an amazing plethora of birds and butterflies. If action’s more your thing, then you’ll find the hilly, rocky terrain to be pure mountain bike heaven. Hiking is also very popular, with trails ranging from 15 minutes to eight hours to suit all interests and fitness levels. For those with a head for heights, a number of abseiling sites are available (guides and own gear required). Traditional rock climbing can also be enjoyed at designated points, but make sure to bring along your own gear. Each campsite comes equipped with braai and grid, and there’s a freezer for campers to use. 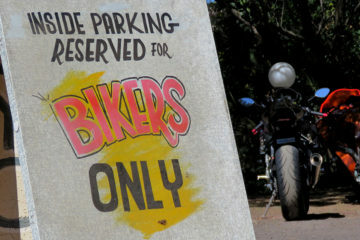 Some sites have power, but this needs to be requested on booking and costs a bit more. The ablution facilities are well kept and provide hot water, decent toilets and basic kitchen functionality. Day visitors can also enjoy the lovely picnic and pool area, where they can braai. Only 180 people are allowed on the reserve each day. This includes folk staying in the chalets, campers and day visitors, so be warned – booking ahead is essential. This is one destination where following the directions will get you there better than your GPS. Take the R512 (past Lanseria), heading north. At the Broederstroom T-junction turn left. After Pecanwood turn right at the Sun City/Brits turn-off. At the T-junction turn right again, still following the Brits/Sun City signs. At the 4-way stop (Engin garage on right) turn left towards Sun City. Follow the road for about 38 km through Majakaneng, Mooinooi and Buffelspoort. After Buffelspoort turn left at the 3-way stop. Continue for about 10 km, then turn left towards Maanhaarrand and follow the Mountain Sanctuary Park signs. The majestic views of the Golden Gate National Park. The only grassland national park in South Africa, the Golden Gate Highlands National Park is a must visit. Set beneath the rich gold and ochre-coloured backdrop of the Maloti Mountains, it covers a whopping 340 km². Boasting over 60 species of grasses, the most noticeable being the Red grass (Themeda traindra) that grows in summer, this 11 600 hectare park is a true highland habitat – providing a home to a variety of mammals, including black wildebeest, eland, blesbok, oribi, sprinkbok and Burchell’s zebra. Bird watchers get a chance to see the rare bearded vulture, as well as the equally rare bald ibis, both of which breed on ledges on the sandstone cliffs. Other large birds you can expect to see soaring around the rocky crags include black stork, cape vulture, Verreaux’s (black) and martial eagle, jackal buzzard, lanner and peregrine falcon and rock kestrel. Black and alpine swift are also common airborne species. Being such a large park, it covers a range of habitats. Afromontane forest sticks to sheltered ravines and gorges, where the necessary moisture level is maintained and vegetation is protected from unfavourable weather conditions, including fire. While the valleys on the south-eastern side of some slopes are dominated by Ouhout woodland. Isolated patches of Protea woodland also occur. Two veld types (Highland-Sourveld and Themeda-Festuca) dominate the rest. Activities include short nature trails varying from 1 hour to 5 hours (no bookings required), game viewing at leisure in your own vehicle, guided excursions, night drives, horse riding, video shows and lectures during school holiday periods. Canoeing is also available on the Gladstone Dam for groups of 4 – 20 under the watchful supervision of experienced guides. The Glen Reenen Guest Camp, situated close to the Golden Gate Hotel & Chalets, provides the ideal base for campers wanting to explore the park. It has 45 available sites, 30 of them with power. There’s a natural rock pool where you can swim, and many of the hiking trails in the park start and end here. 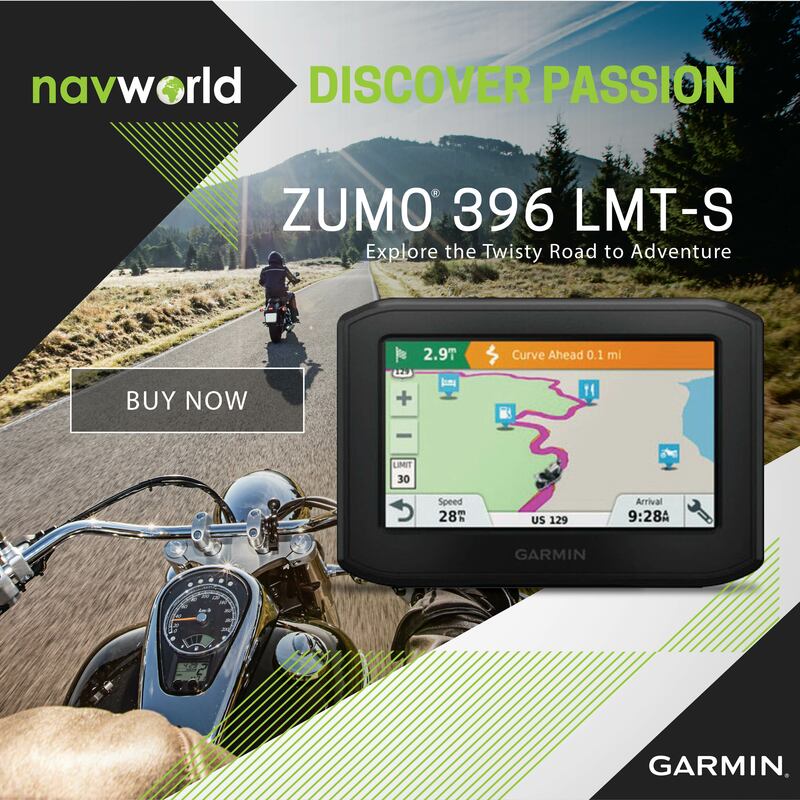 Located 320 km from Johannesburg, 330 km from Bloemfontein and 350 km from Pietermaritzburg. 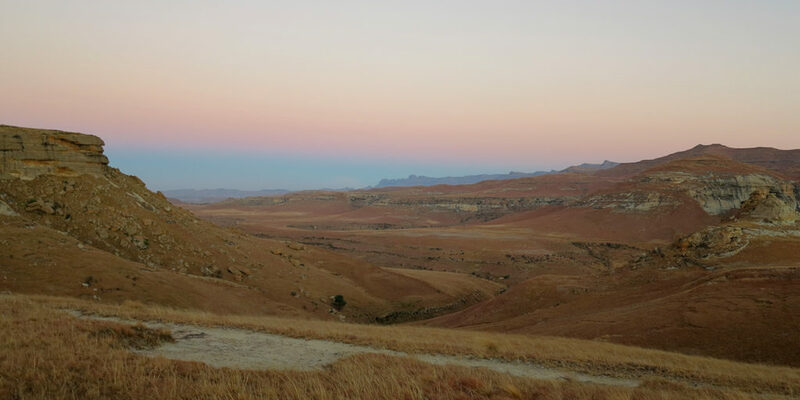 You’ll find the camp sited along the Maluti Drakensburg Route only 55 km from Harrismith and the N3. Situated just outside of Plettenberg Bay on the banks of the Keurbooms River. 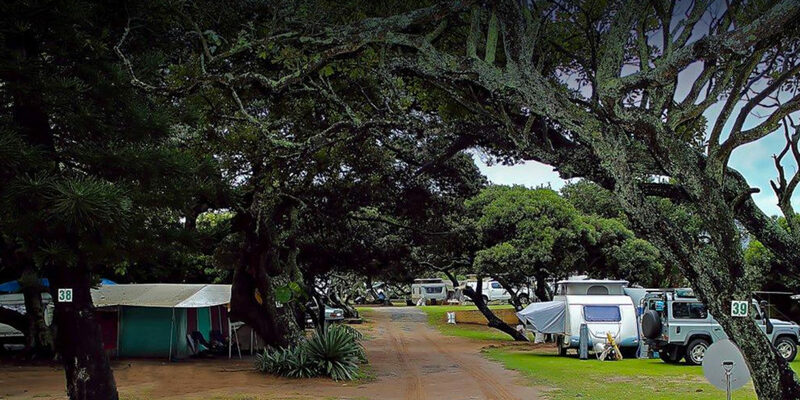 The Keurbooms Lagoon Caravan Park is the perfect base from which to explore the wonders of the Garden Route any time of year. Plett never goes out of style, here the idyllic landscape and moderate climate combine to offer activities like surfing, swimming, scuba-diving, walking, cycling, boating, horse-riding, fishing and golf… or just plain relaxing. The park has about 270 sites, of which 32 are located on the water’s edge and the others very close to the lagoon. For 11 months of the year you can choose almost any site to meet your needs, although in peak season bookings are essential. All sites are grassed, with electrical plugs and ablution facilities nearby. Fresh water taps are spread among the sites and there are a number of free-standing braais available. Whether you are using a caravan, motor home or simply pitching a tent… you’ll definitely enjoy your stay here. All guests have easy access to the river and sandy lagoon beach. And, although most visitors reportedly prefer to remain in the park surroundings, there’s much to do nearby. You can cross the river to Keurbooms beach and spend time looking for the beautiful pansy shells that sometimes wash up onto the shore, or maybe take a boat upstream for some water-skiing, fishing or even birdwatching and sundowners in the nature reserve. Alternately, you can paddle right up the river in a canoe and spend the night in a hut at the end of the trail. It’s not a hard paddle and most people reach this secluded spot after a few hours. Remember though, the Keurbooms is a tidal river, so it’s important to factor in extra time if you are returning back to base during the incoming tide. Driving from Plettenberg Bay towards Port Elizabeth on the N2, you’ll find the turn-off for the Keurbooms Lagoon Caravan Park on your right hand side opposite Old Nick Village – a popular tourist shopping venue just 3 km out of town. The crystal clear waters of mountain streams and steep orange and yellow ravines gleaming in the bright sunlight, turning purple as the sun sets. What’s not to like? Situated in the heart of the Cederberg mountains, 280km north of Cape Town lies the working farm Kromrivier, home to Cederberg Park. This breathtakingly beautiful part of the world, with its aroma of buchu, rooibos tea and Cederwood, has been in the Nieuwoudt family for seven generations. Their park, bordering the Cederberg Wilderness Area, was created in the 1960’s and is acknowledged as the oldest tourist destination in the area. The primary focus here is peace and quiet. As such, it offers a tranquil base for many of the famous hikes in the Cederberg area. Those with a keen sense of adventure can take a flying leap 5 meters down into the deep, chilly mountain waters of the famous Disa Pool (3 – 4 hour return hike). Those less brave can just cool down in the dam or river when they get back to base. Mountain biking is another popular activity. 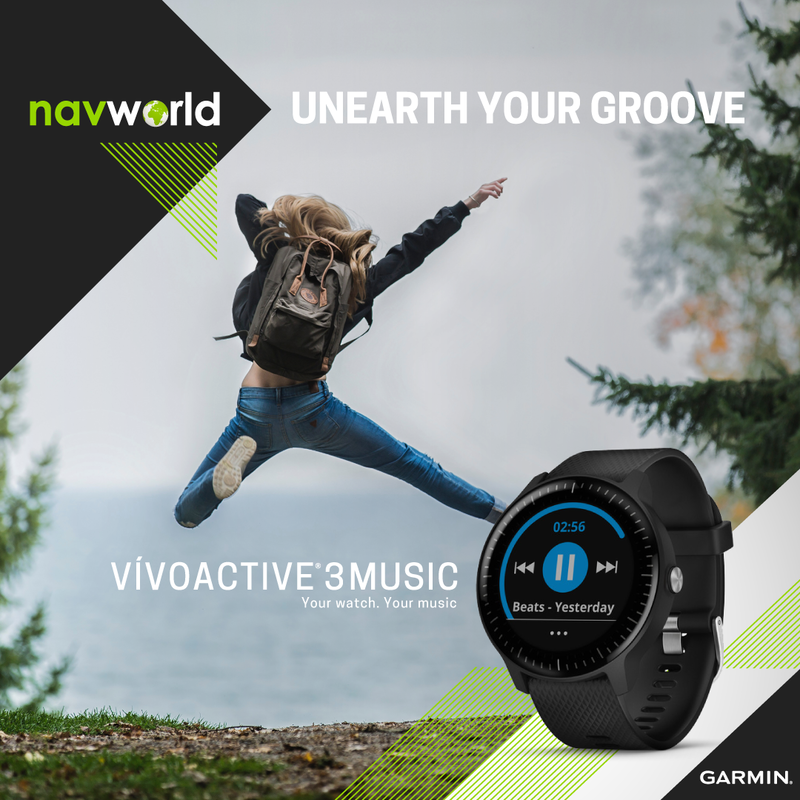 Riders have six trails to choose from, varying in difficulty and ranging from a quick, 2-hour spin, to the full Kromrivier Circular Route that takes between three and four hours. Budding mountain climbers can also pit their wits against Bobbejaankop, where they can work on their skills before progressing on to more complicated climbs. Being a working farm, Kromrivier has an entertaining, child-friendly farmyard where cows get milked twice a day. In lambing season bottle lambs are fed three times a day. Visitors can also collect a container from the office and feed their food scraps to the pigs. All the campsites are located on the banks of the Kromrivier, some have power and some don’t. Ablution blocks provide hot showers and cooling facilities are available in the office. Light meals and beverages are served during the day, so you can really camp in style if you want. The farm’s also home to Nieuw Brew, the only craft beer brewery in the Cederberg – so whatever you’ve been up to, you can always quench your thirst with a truly original local pint. From Cape Town, travel 180 km up the West Coast on the N7 until you reach Citrusdal. 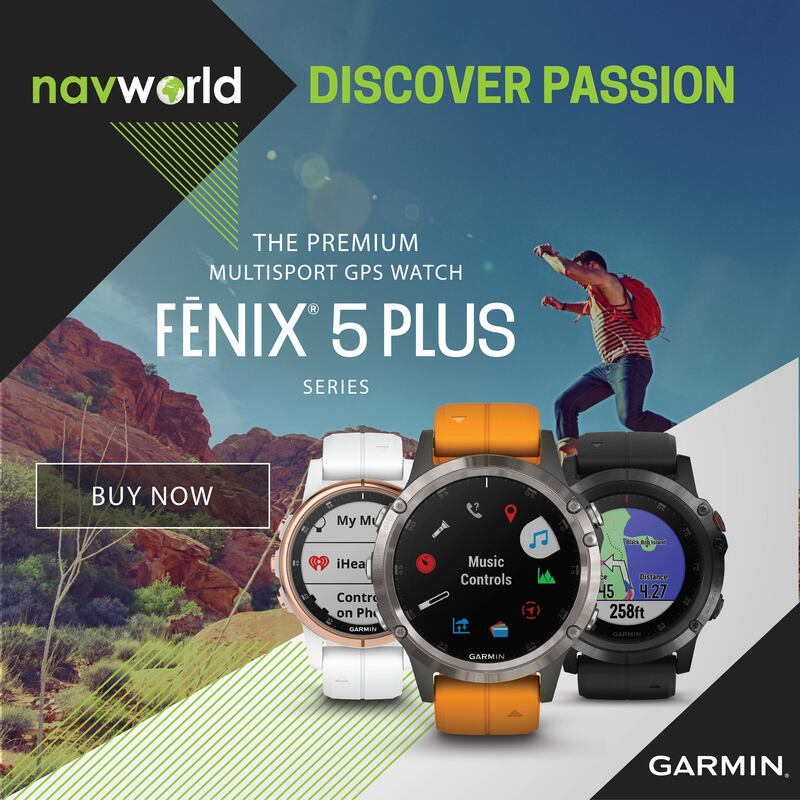 Drive through the town towards Clanwilliam for another 27 km, then turn right at the Cederberg/Algeria sign and continue on the gravel road for another 57 km. Sometimes, the only place you want to get away to is the hospitable KZN South Coast, with its rock pools, soft sand, warm waters and pounding surf. Just an hour’s drive south of Durban, the Ilanga Resort and Caravan park is situated alongside Banana Beach – allowing you to literally step out of your tent and into the Indian Ocean. This well-run resort provides a shark net-protected beach with lifeguards on duty during holidays and weekends. Four pathways provide direct access to the beach. And, to make sure everyone stays safe, guards are on duty 24/7. The available activities are exactly what you’d expect on the sunny Hibiscus Coast. There’s a safe tidal pool for children (and adults) to enjoy. Surfing and snorkelling happen literally on your doorstep, while local scuba diving trips are easy to arrange. Rock and surf fishing is a no-brainer – there’s always shad, cob and garrick hunting for something tasty to eat. Those wanting to check out something different can head out to the Oribi Gorge about an hour’s drive away. And golfers in need of their fix can visit the Port Shepstone country club just 10 minutes down the road. The campsite comprises 110 generous-sized stands (most well grassed), all with 15 amp power points. All sites are level with over half of them being shaded by trees, and no stand is further than 60 metres from the high water mark. Ablution facilities provide clean and neat showering and bathing, along with scullery, laundry and ironing facilities. There’s a freshwater swimming pool for those who don’t enjoy the sea. Plus you can keep your family busy in the resort’s entertainment area with darts, table tennis and video games. Ice, bait and fishing tackle is also for sale in the shop. From Durban, drive south on the N2 for 93 km. Take exit 72 (R102) and follow the coastal road for another 14km. Turn left into Petrea Road and continue straight until you enter the resort.